Awhile back I was in the Crafting with the Stars competition. One of my competitors is this fun and amazing blogger: Amy from Naptime Crafters! You might know her from her own craft competition, American Crafter! Amy is a blogger who I really admire and am in awe at how much she can accomplish–seriously. 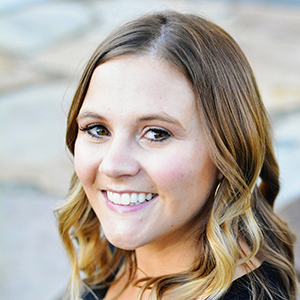 She has an amazing blog FULL of tutorials, she is super organized with all the things going on, AND she has her own pattern shop with TONS of patterns for kids and babies. And if you want to buy more than one pattern, you can save money by entering the codes found on the Discounts page! Today Amy wants to giveaway a 5-pack of her patterns to one lucky winner! The winner can choose whichever 5 patterns she’d like. 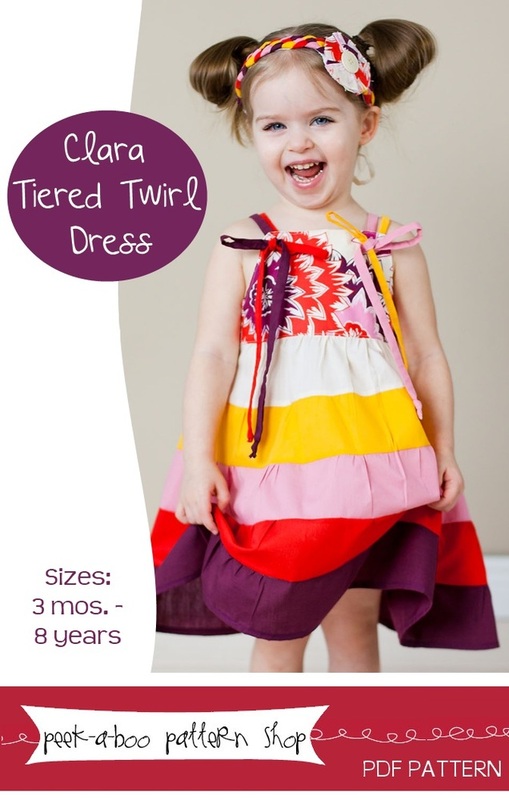 These patterns would be great as clothes for your own kids or gifts for someone else’s! I visited her shop… to look at patterns and dream of winning!so many pretty dresses and patterns it would be hard to narrow it down to five! 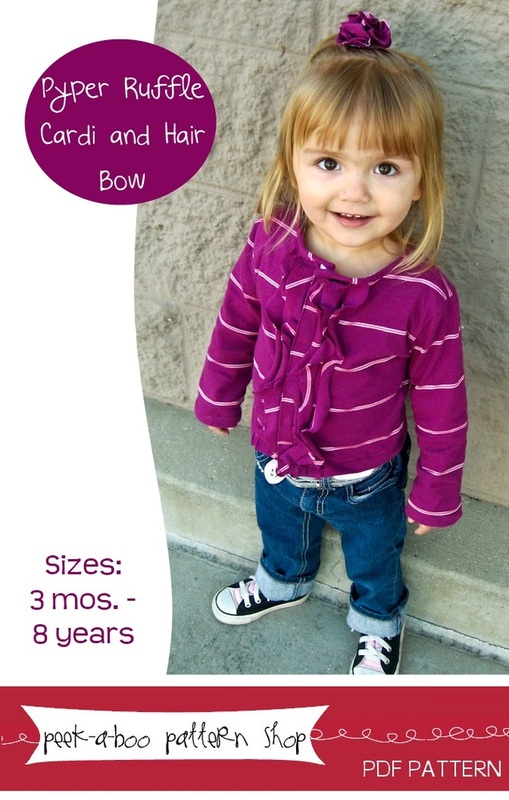 I visited her page, and I love the Avery jacket for little girls! So cute! Her swimsuits are darling, too! I stopped by Amy’s shop and Love, Love, Love it! So precious! I visited and love her shop… the bubble skirt is so cute! I am in LOVE with the Harper Dress! I love the patterns in her shop! I’d love to make a cute coat or even try making a swimming suit. Love the patterns! We are expecting our first little one in 7 weeks and would love to dress her in these adorable one of a kind outfits! Keep making fun patterns. I hope to win some patterns for my little sweetie. I love the Santa Monica tankini and the pea coat. They are adorable. What a great shop! Cute patterns! Love the pea coat and the annabelle jacket. 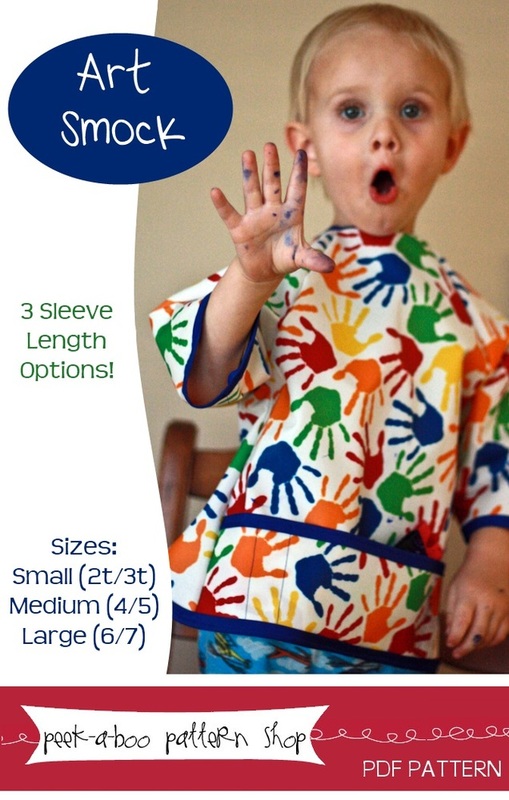 I love that art smock! So cute. I love that peacoat pattern! They are all great patterns! Oh gosh, I could easily choose 5 patterns. I already have a list of 8 patterns I want from her shop. Winning would mean I only have to buy the other 3 and I’d be just thrilled. She really does have the cutest patterns and who wouldn’t smile just looking at her adorable little model? I’ve also previously ‘liked’ her shop on facebook. Have also been following her blog for a long time. I visited her shop and seeing all the cute girls things makes me wish I had a girl too? Love her shop and love the art smock pattern. I liked peek-a-boo patterns on Facebook. I follow nap time crafters through email! SO cute! I wish there were more boy patterns but everything is so gorgeous. 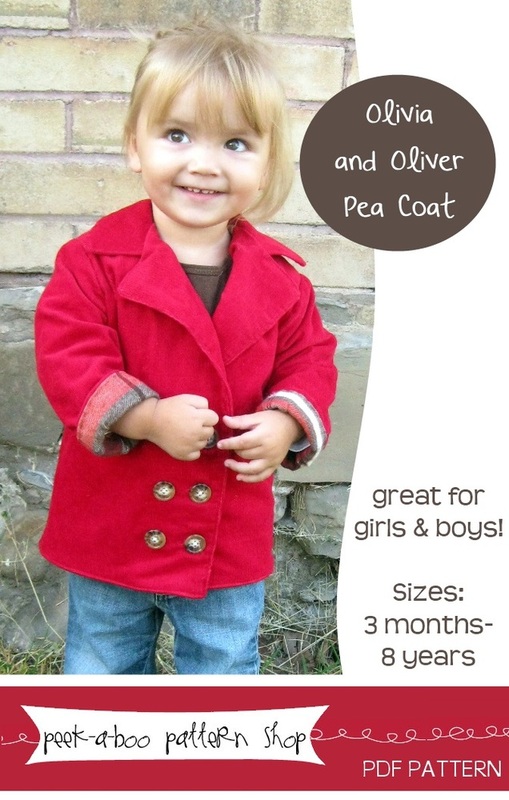 That little pea coat is too much. I have been getting the newsletter for a while. Thanks for hosting this fun giveaway! I have followed her blog for a long time. I “liked” her on Facebook. Love the Harper and Vivienne dresses and also the Anabelle Jacket! So cute! i love the peacoat !!!!!!! I just wanted to tell you I’m a new follower and I love the puffy rag quilt!! Sure hope I win the pattern over at Sumo Sweet Stuff. I have a new grand daughter on the way and will be here in September. Would love to make her a quilt. I follow her blog also! I checked out her blog and she has some neat patterns on there. I visited her shop and she has so many fun patterns! Even if I don’t win, I’ll have to get some and give them a try! I like peek-a-boo patterns on FB. I am now following her blog “naptime crafters”! She has way cute patterns! Time to dust off the sewing machine, I was inspired by all those cute clothes! I visited the shop. Loved her patterns! Thanks! I already liked the page on FB. I follow the blog too. I love her patterns! I would love the double bubble skirtor ruffle skirt pattern and the isabella dress patterns! So cute!